You know Ferrari’s is up to something big when they call their next mid-engine supercar “Big Brother”. Ferrari has lined up quite a few launches for us this year. The F8 Tributo was launched at the Geneva Motor Show and in May, the automaker is set to unveil a new mid-engined supercar. Dubbed the “Big Brother”, this new model will be privately unveiled on May 25, 2019. The so-called Big Brother will be positioned above the F8 Tributo and is likely to feature a hybrid powertrain. 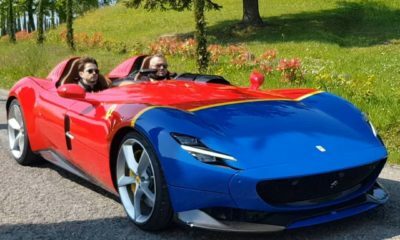 Prototypes of the car have already been spotted testing in Maranello. The images suggest that the car might look similar to the 488 successor. It has a low front scuttle and could have horizontal headlamp clusters. The test mule has large air vents on either side of the rear fenders. 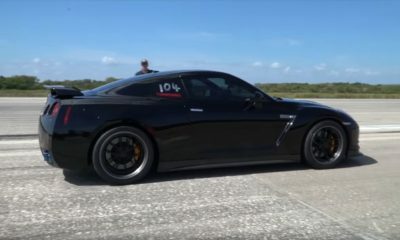 While, no one really knows the details about the engine that will power this machine, it is likely to get a V8 engine paired with a hybrid system. The engine could be based on the F8 Tributo’s 3.9-liter V8 which produces 720 horsepower and 568 pound-feet of torque. With a bank of batteries and electric motors on-board, we can expect a combined output well beyond that.